Honda has announced it will supply its state-of-the-art Power Manager units as part of the EV-elocity consortium project in the UK. The project aims to demonstrate the business case for Vehicle-to-Grid (V2G) technologies across a variety of UK locations, to help businesses and electric car owners recognise how they can harness, store and use surplus renewable energy with a commercial benefit. EV-elocity has attracted significant investment from UK government and has successfully secured £7 million of funding from Innovate UK. 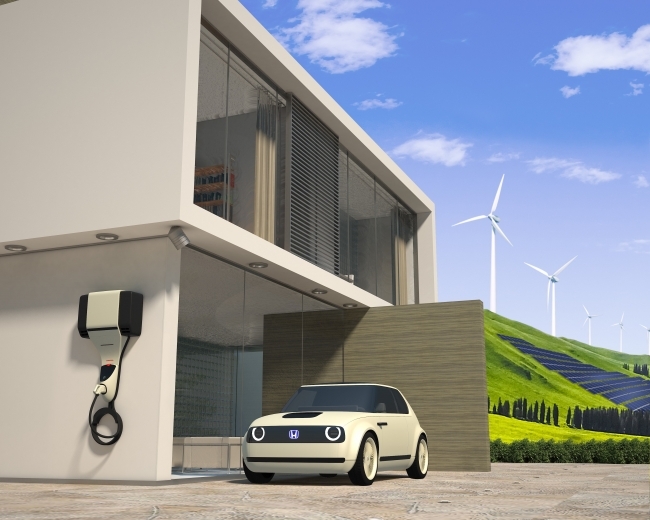 The current project, which will run from 2018 to 2021, aims to establish realistic business models to support the growth of the electric vehicle market and break new ground in helping consumers, businesses and infrastructure providers benefit financially from energy storage in electric vehicles. Renewable energy generation in the UK is increasing, but at present most surplus power that is generated cannot be stored. The rising uptake of electric vehicles will enable new energy storage possibilities through Vehicle-to-Grid (V2G) systems, which could be used to balance power demand across the grid. If stored effectively, energy stored in electric vehicle batteries could be transferred between the grid, homes and back to electric vehicles when needed. This form of energy storage will have a significant role to play in the evolution of the energy market. Honda has already taken the first step in helping this vision become a reality with the development of the Power Manager unit. The system enables the collection and distribution of electricity between the grid, homes and businesses, and electric vehicles. The Power Manager units will be used to help stabilise the grid at times of either short or surplus supply and will work by aggregating and distributing energy to and from the grid through solar panel-equipped homes or workplaces, and electric vehicles. Participating customers will also have the opportunity to sell electricity back to the grid, or spare capacity in their vehicle battery, creating a financial income. The EV-elocity consortium members include A.T. Kearney, Honda Motor Europe, University of Nottingham, Warwick University, The Peel Group, Cenex, Ecar club, Brixworth Technology and a UK-based energy supply business, Leeds City Council and Nottingham City Council. The EV-elocity project programme is the latest step in Honda’s roll-out of next generation energy management technologies. Honda is also running trials of its Power Manager ‘V2G’ technology as part of the SMILE project in France, and is preparing to introduce the technology to several other projects across Europe.